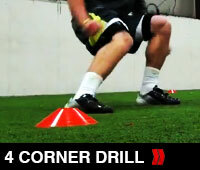 Whenever you are working to build explosive body control you must keep your center. Allowing your trunk to lean away from your center of balance will only slow you down. 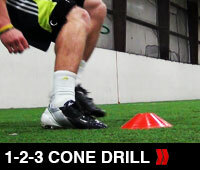 Focus on body alignment and foot speed. 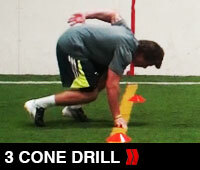 It is important that every rep you are focused on moving your feet faster. If the sets are to long bringing you to fatigue towards of the end of the sets shorten them until you are ready for the recommended time frames. 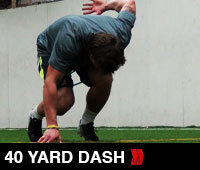 Speed training is all about explosiveness. Training with slow feet will leave you will little to no gains. 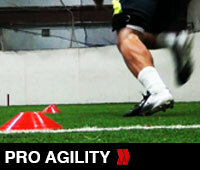 Explosive speed and agility training is the only way to build quickness. Allow the proper amount of rest between sets and focus on exploding through the resistance added by Kbands. 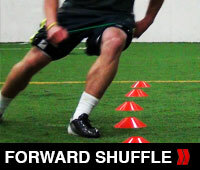 Kbands will build stronger hips and core will increase lateral explosiveness. Train hard my friends.